Cost Less Than You Think! Win the BBB Ethics Award! Our Spring Into Summer Sales Event Is Here! Our Spring into Summer Sales Event is your chance to save thousands creating a picture-perfect backyard! Bring the whole family and come see us for great discounts on everything you need to transform your space into a dazzling oasis – gorgeous travertine, sea glass pebble surface, decking, lighting, landscapes and more! Our 30 years in business has produced thousands of satisfied homeowners and the BBB’s Ethics Award. We are licensed by the ROC to build every aspect of the ultimate backyard and have zero complaints. Swimming off the heat, chilling by the fire, taking in the view or serving the perfect drink – our award-winning designers can create it all. For more information contact our Concierge Department 480-345-0005. Make this your last summer without a pool! Take advantage of special offers on new pools, as well as extra savings on decking, landscape, and trees. Free chip outs on remodel projects. Utilize our world-class designers and the expertise of our in-house financing team. Your family will thank you and your summer will get a lot cooler. We’re so excited, it’s that time again! It sure is heating up out there… build now to swim all summer! All Ultimate Backyard Expo offers good through the end of February. 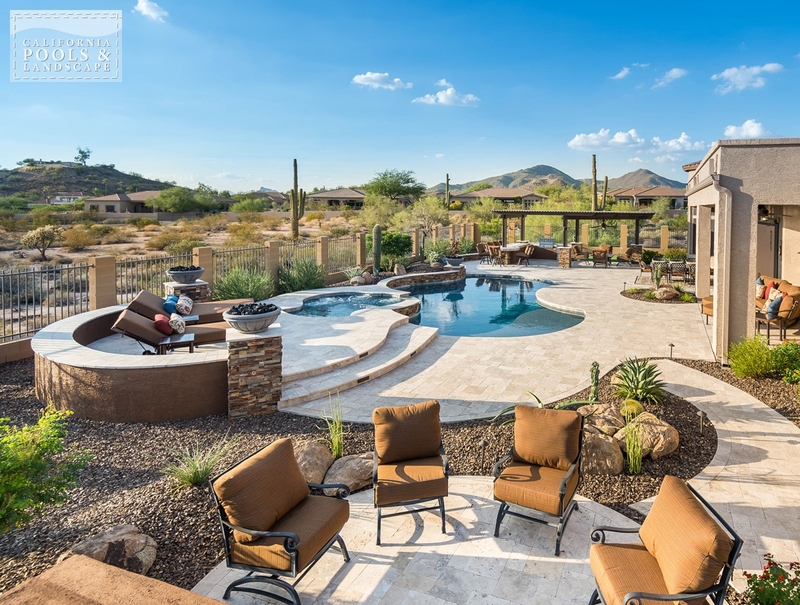 Create the Ultimate Backyard with the Dreambook App! 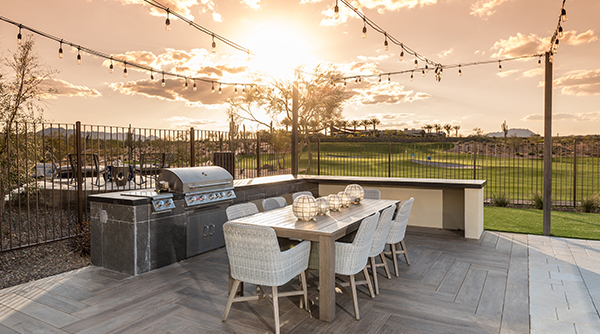 Discover all the inspiration and content you need to bring your Ultimate Backyard to life! Download the app, then swipe, click, and scroll through a wealth of Feature Stories, What’s Hot articles and tons of high-res pool, spa, landscape and backyard feature images to ignite the imagination. Save your most-loved photos into Dreambooks to share with friends and family. When it’s go time, request a project estimate, begin the finance process, or set up a meeting with one of our world-class designers. Do it all from the palm of your hand and with a simple click. 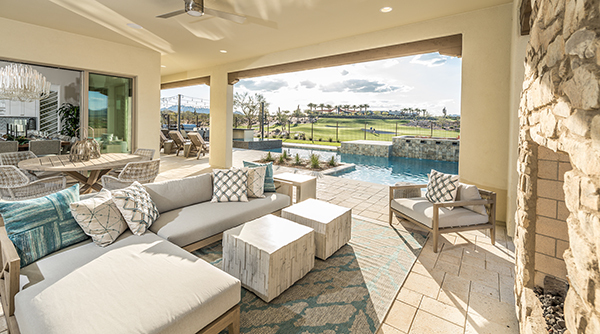 California Pools & Landscape is a nationally awarded designer of backyards of every description but our most prestigious award is meeting our customer’s expectations. We use state-of-the-art image modeling that allows you to dream in 3D. We welcome you to come in and sit with our design specialists, and let us bring your dreams to life! 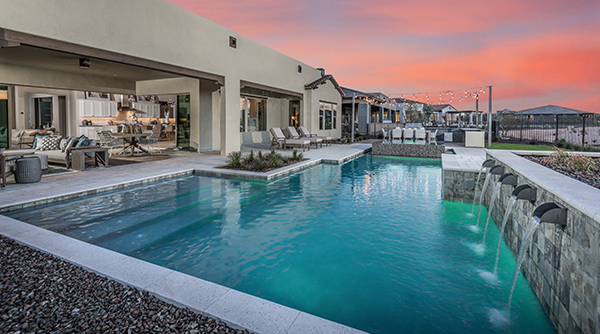 Walk around your yard, look out your windows, and even swim in your pool in a virtual environment. California Pools & Landscape was incredibly honored to have been one of only four companies in North America to be presented the 2015 BBB International Torch Award for Ethics. California Pools & Landscape family has founded it’s name on building relationships between customers and employees over the last 29 years. If you have a moment, please let us know how we did and share your valuable experience in working with us. 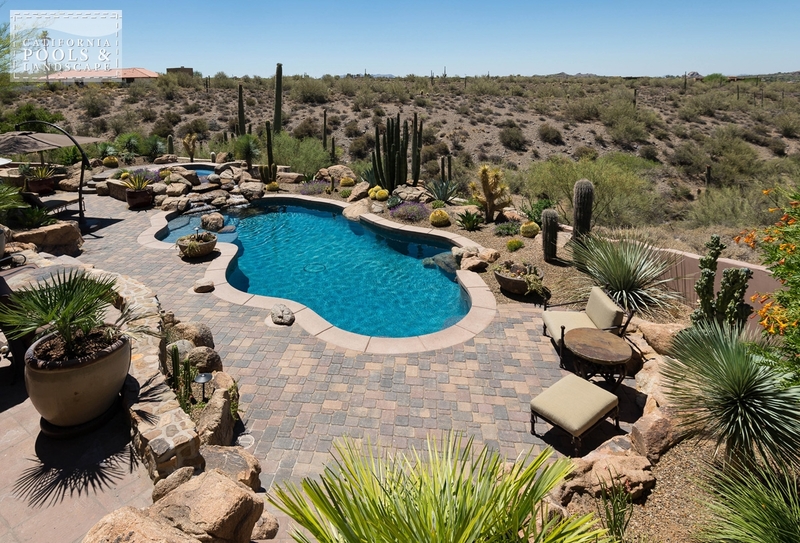 California Pools & Landscape creates Outdoor Living environments that translate your vision into reality. 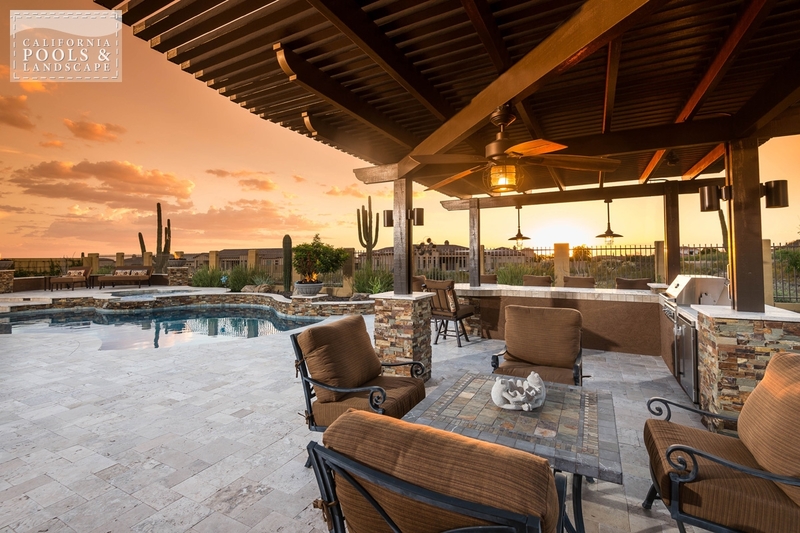 As the premier pool and outdoor living construction company in the Southwest, we are committed to meeting your expectations through innovative designs, quality construction and consistent communication. Our number one goal is you and your family’s complete and total satisfaction. 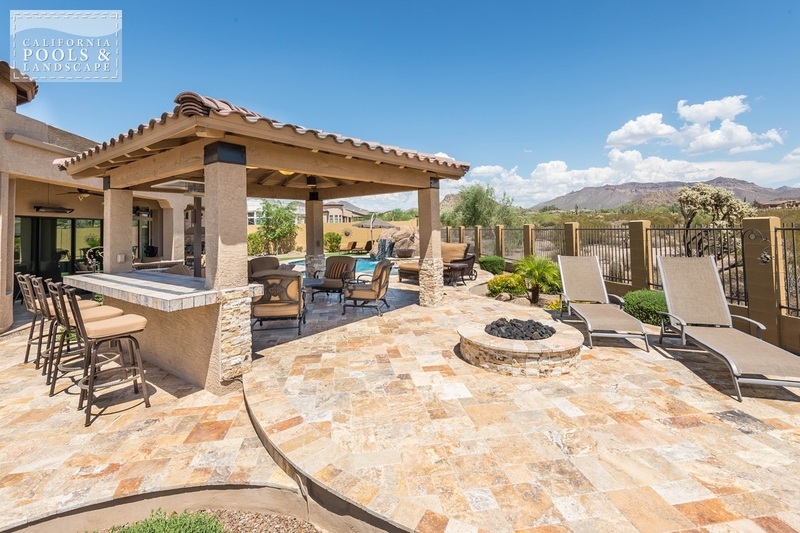 We want you to enjoy your outdoor living area every day for many years to come.